As reported in the May newsletter, I was in Uganda for 26 days in March for a photo safari (including a climb to see the Mountain Gorillas) followed by a hunting safari with Uganda Wildlife Safaris, Ltd. I shot a Nile Buffalo and Uganda Kob in the Aswa-Lolim Concession, the northern border of which is a few miles from Teddy Roosevelt's famous Rhino Camp. And in the Kafu River Basin Concession, I shot Nile Bushbuck, EA Bush Duiker, and EA Sitatunga within a few miles of where Kermit Roosevelt shot his Sitatunga in 1909. We captured some great footage that showcases the country, the wildlife, and the hunting. 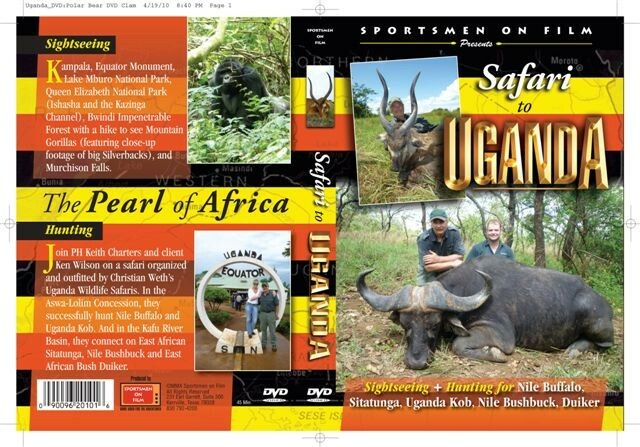 I have just finished editing "Safari to Uganda." I know you will enjoy it. As for all 67 of our DVDs, the price is $19.95 + S&H with 15% off for orders of 3-9 or 25% off for 10 or more of any combination of our titles. You may call us at 800-910-HUNT (4868) or order from our website: www.sportsmenonfilm.com. The abbreviated history of safari hunting in Uganda goes like this: Uganda received its independence from Britain in 1962. Brian Herne and Bert Klineburger and many others worked to open the safari industry, which was a big success, but could not survive the turmoil of Idi Amin's dictatorship, 1971-1979. Milton Obote preceded and succeeded Amin. Many say he was just as bad for the people and the wildlife. Yoweri Museveni has been president since 1986. Under his regime, the photo safari industry thrived in the south and west almost from the inception, and and a successful pilot hunting safari program for a few species commenced in 2000. With the demise of the Lord's Resistance Army plus great efforts by Christian Weth, Bruce Martin, and others, hunting concessions and quotas were allocated in 2009 with the first full-bag safaris commencing this year. KEN WILSON IS THE EXCLUSIVE NORTH AMERICAN AGENT FOR UGANDA WILDLIFE SAFARIS, LTD.
After 5 years of working with Christian Weth throughout his struggle to re-open the safari industry in Uganda, I was named the exclusive North American agent for Uganda Wildlife Safaris, Ltd. However, I do cooperate with other agents because my goal is to maximize bookings vis a vis quotas to help ensure the continuing economic viability of the company. I am now booking for 2011 and 2012. If you would like to receive information on costs and a species list, please email me at kwilson@sportsmenonfilm.com or call me at 800-910-HUNT (4868). 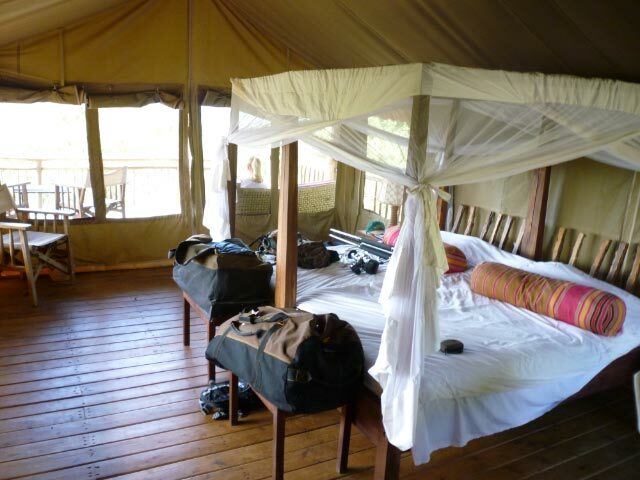 I can also book photo safari packages for non-hunters so they can enjoy the luxurious camps and sightseeing activities that the hunters sacrifice. I'm not involved in this tournament, but I have great respect for Craig Boddington and for Jim Rough, the owner of Black Gold Lodge in B.C., which is the venue for this tournament. It will take place July 30 - August 2. The cost is $3,500.00 per person, all inclusive for 4 days and 3 nights including all fishing AND even the roundtrip flight from Vancouver. Mention my name if you book and receive a 5% discount!! 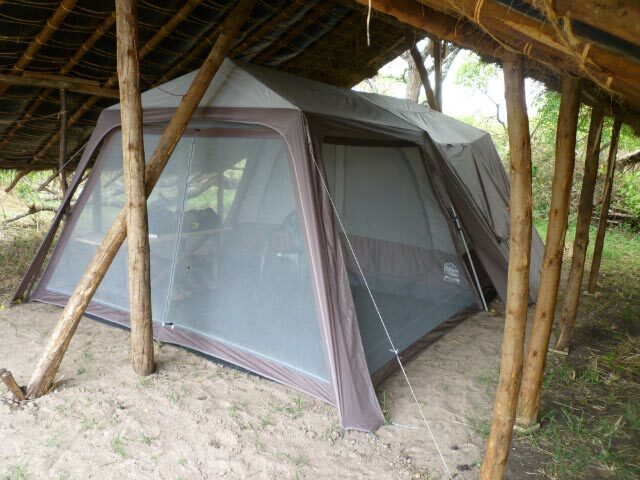 There are more than $100,000 in prizes including safaris to Mozambique (with Craig), South Africa, Namibia, New Zealand, etc. For all of the information, go to www.blackgoldlodge.com or call Jim Rough at 604-941-3228.